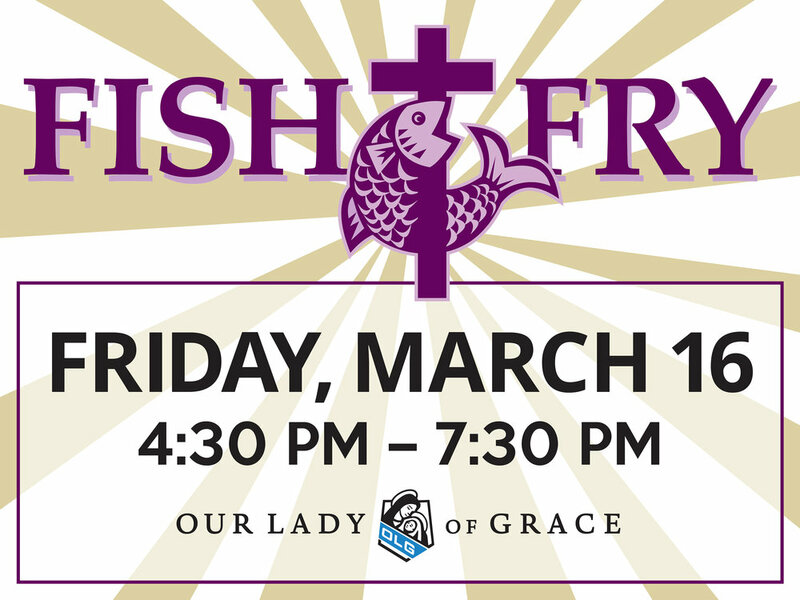 The OLG Men’s Club is excited to announce our 10th Annual Fish Fry and Pasta Bar! We will once again be oﬀering ﬁsh from the Tin Fish, pasta from Bucca along with cole slaw, baked potato, rolls and cake. Don’t forget the drive thru and Finnegan’s Pub! Contact Kyle Kirsch at kylek@canopyfg.com or 612-414-8085, or Bill Dubbs at dubbs@williams-exec.com with questions or to volunteer. Tickets are $12 for an Adult, $6 for Youth (Ages 6-12) and free for Children (ages 5 and under).